Few things seem more appropriate than visiting Israel during the holiday of Passover. It is this very time of year that one can feel a palpable connection to the Bible and the Israelites who made their journey out of slavery and into the promised land. Jews with limited options back at home by way of Passover-friendly food might find relief in coming to a place where it’s so easy to be kosher for Passover (but there’s a catch!). Spending the holiday in the Holy Land might also mean sparing yourself the hassle of spring cleaning at home, but we digress. Let this list be your guide into the nuances of Israeli society during this weeklong holiday — the good, the bad and the downright bizarre. Thousands of Jews flock to Israel during Passover, so hotels and hostels book up quickly and last-minute bookings, should they be available, are going to cost you a pretty penny. Plan your trip many months in advance to ensure a spot. What are kitniyot, you ask? That would be any kind of rice, grain, legume, or starchy vegetable like corn and peas. In the Sephardic tradition, Jews eat these foods on Passover, while for their Ashkenazi counterparts these foods are forbidden by custom. he Sephardic custom has become more prevalent among the general Israeli public (with the notable exception of ultra-Orthodox Ashkenazi communities). This means that most Israeli supermarkets sell kosher-for-Passover cornflakes alongside the matzah-ball mix, and many Israeli eateries serve kosher-for-Passover rice. Many hotels in Israel serve kitniyot during Passover too, so be sure to do your research before booking your trip to find out which hotels can accommodate however you choose to eat during the holiday. Going back to the Israeli supermarket, you might find in the days leading up to Passover that the grocery store has covered or blocked off most of its shelves, leaving only kosher-for-Passover items on view. Although the cocoa powder is technically right there under the paper or plastic cloak, do not be tempted to grab it if you’re feeling a bit rebellious, as big chain grocery stores like Shufersal and Rami Levy block check-out of such items at the cashier during the holiday. If you’re fascinated with this new supermarket experience, make a game out of it! Create a scavenger hunt in search of the most unlikely items marked “Kosher for Passover.” Toothpaste, dog food and dish detergent all make for good contenders. And in case keeping kosher for Passover is not your thing, simply visit supermarkets in towns with large Arab populations, such as Nazareth or Acre, to get the goods you want, no questions asked. Looking to go gluten free, but haven’t been able to get the push you need? Spending Passover in Israel might be the perfect time to give it a whirl. Since most cafés simply offer gluten-free options during this weeklong holiday, you can get a sense of how this dietary choice feels for you, while collecting ideas for delicious gluten-free dishes to replicate back in your own kitchen. Eating out on vacation can get shockingly expensive very fast, not to mention that many restaurants and bakeries in Israel are closed for the Passover holiday because they do not want to bother with the intense process of prepping for the holiday (or maybe because the kids are out of school and it’s an opportunity for a family vacation). In any case, you might consider renting a vacation apartment that has a kitchen and cooking up your own meals, or getting back to basics by getting familiar with hotel cooking hacks like these. If you really want to rest and relax, and you can’t stand the thought of making your own Seder meal on vacation, let Israel’s hotels and gourmet restaurants feed you and your family. It may come at a hefty price (upwards of ₪400-600 per person) but it is sure to be a meal you will never forget. If you keep kosher, you can enjoy a full and elegant Seder experience at numerous hotels including the high-end Waldorf Astoria Jerusalem or Hilton Tel Aviv. Of course, it goes without saying that you should book these as far in advance as possible. If you don’t keep kosher, you could have a mini Seder in your hotel room and then go out to a restaurant like Adom in Jerusalem’s First Station, serving matzah balls (that include baby shrimp!) alongside mini gefilte fish, chestnut gnocchi, ribeye steak with garlic confit, and chocolate matza cake for dessert, or the Norman Hotel’s Alena Restaurant in Tel Aviv serving up chef Barak Aharoni’s special herbed matzah balls, alongside a menu highlighting seasonal produce, including beetroot risotto, slow-cooked lamb, and even charoset. This might be a good time to see the famed Petra, the world heritage site and ancient Nabatean city in Jordan. After all, the Israelites wandered a bit in modern-day Jordan on their long way from Egypt into Israel. Wadi Musa, the closest town to the archaeological site, means “Valley of Moses” and contains a site called “Moses’s Spring” — which Jordanians believe to be the location where Moses impatiently struck a rock after being commanded to find water there, according to the biblical story. If you are in prime hiking shape, consider hiking all or some of the north-south Israel National Trail from either direction. Pesach in Israel signifies the changing of seasons. Winter is behind us and the hot summer lies in wait. Often this means dry, hot windy weather known as hamsin or sharab. To combat this less-than-welcome change from cool winter rains, make sure to pack all the necessary summer gear just in case: water bottles, sunglasses, flipflops and sunscreen. Passover Seder food can be heavy on eggs, oil, fat and rich foods like brisket, chopped liver and kugel. If you decide to take on the task of making your own Seder you may want to consider lightening things up to match the warm breeze in the air. Let seasonal fruits and veggies take center stage in your celebratory meal or make it all about finger foods and appetizers. Little nibbles, rather than a heavy feast, will make your holiday meal into a delight, instead of weighing you down and giving you the meat sweats. Considering all the different Jewish communities of Israel, a visit during this meaningful time of year could mean that you get to experience the holiday from a novel point of view. 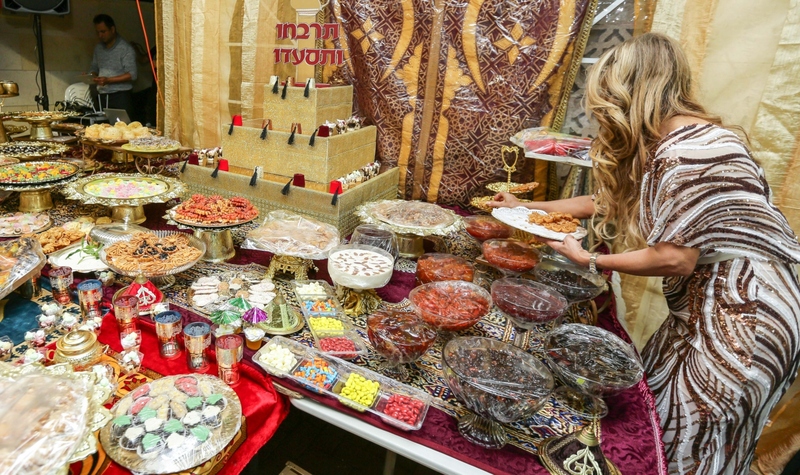 Make friends with your tour guide, taxi driver or long-lost cousin twice removed, and you might just score an invite to a Kurdish, Yemenite, Egyptian or Romanian-style Seder or a Moroccan Mimouna feast on the night Passover ends. While Jews outside of Israel take part in Passover Seders the first two nights of the holiday, Israelis have only one Seder on the eve (this year, April 19) of the first full day of Passover, which is celebrated as a holy day similarly to the Sabbath. The middle days (see “Chol HaMoed” below) are active vacation time for most, capped by another holy day at the end of Passover (this year, April 26). Israeli families often gather for an informal meal on that final day — ideally a springy Israeli barbecue, because when it’s all about the meat, you miss bread just a little less. Most public places, stores and restaurants will be closed on this day, so don’t plan on going out on the town. Chol Hamoed is the term that refers to the middle of the holiday where most people have vacation from work and school, yet it is not a strict religious holiday that bans religious Jews from driving or cooking, for example. This is a rare time of the year when families from all walks of life have the opportunity to visit the country’s many sites and museums. It can be a time of great fun, but also of overcrowding. 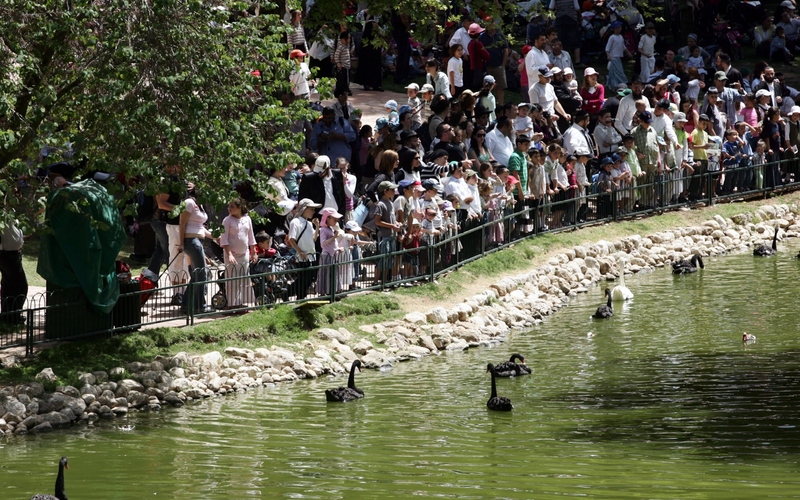 Brave the crowds, though, and you will reap the rewards of all Israel has to offer during this time. Here is a list of the museums and sites open for free during the 2019 Passover holiday. If you get stuck in a traffic jam, pass time and entertain cranky kids with a Passover card game like this and make sure to use the Waze app, which reroutes you to avoid traffic jams. Allow for extra travel time, and bring plenty of snacks to ward off road rage. Jessica Halfin is an American immigrant who arrived in Israel in 2006. She is an Israeli-trained baker, gourmet cook, food and culture writer, and gives foodie tours to tourists in Haifa City.